Many patients, including older adults, are first introduced to opioids in the emergency room to help alleviate pain from broken bones and sprains. In many cases long term addiction, starts with an opioid prescription for a short term problem. Research published in the Journal of the American Medical Association, reveals that patients prescribed over the counter pain medication such as Tylenol, Advil or Motrin worked just as well as opioids in relieving severe short term pain, suggesting doctors may have a means to curtail the rising tide of opioid addiction by prescribing it less. Recent research has shown that nearly 1 in 3 emergency room patients are prescribed opioids during their stay in the hospital and nearly 1 in 5 are given a prescription for pills to be taken on their own when they leave the hospital - contributing to the over 2 million Americans battling with opioid addiction. The research challenges current practice for treating short term severe pain - and may provide doctors with another arrow in their quiver to treat pain, without the negative side effects associated with opioids. The research does have limitations in that it was only evaluated short term pain relief and researches did not monitor patients outside the hospital. But given the scale of the opioid crises, any improvement would be considered a success. 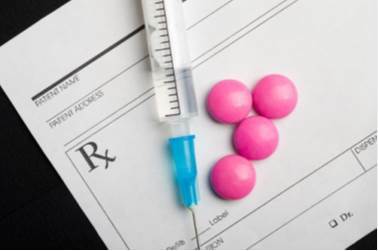 “Preventing new patients from becoming addicted to opioids may have a greater effect on the opioid epidemic than providing sustained treatment to patients already addicted,” Dr. Demetrios Kyriacou, an emergency medicine specialist at Northwestern University, wrote. 411 adults were treated in two emergency rooms at Montefiore Medical Center in New York City. They were treated for broken legs, arm fractures or sprains. They were all given acetaminophen, the main ingredient in Tylenol, plus either ibuprofen, the main ingredient in Motrin, or one of three opioids: oxycodone, hydrocodone or codeine. They were given standard doses and were not told which drug combo they received. How can we use this information to our benefit? When seeking treatment for an ailment, as your doctor if there are any non-addictive alternatives to opioids to help you manage your pain. This is especially true if you're being given a prescription to be taken at home. It's doubly true if you've ever battled addiction with alcohol, drugs or nicotine in the past. Exercising Only 2 Days a Week Can Turn Back Time On Older Hearts!